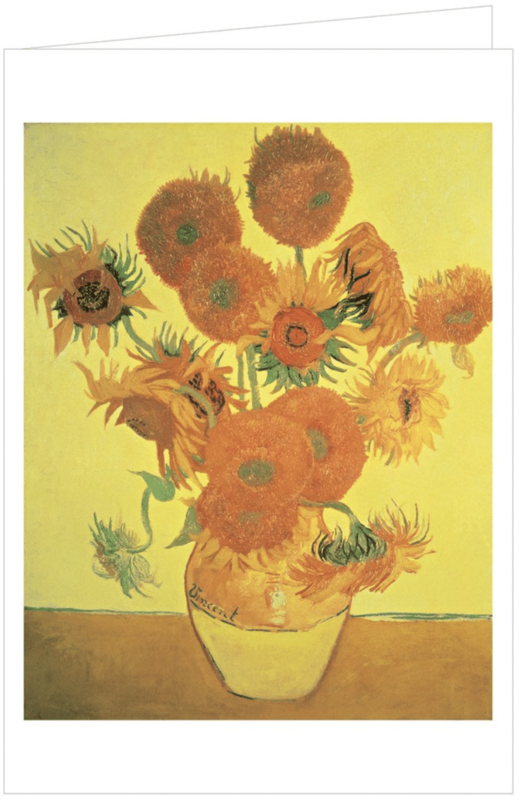 First and foremost, Vincent van Gogh is known for his prolific portfolio. During his short career, the Dutch artist produced over 2,000 artworks, including 900 paintings and 1,100 drawings. 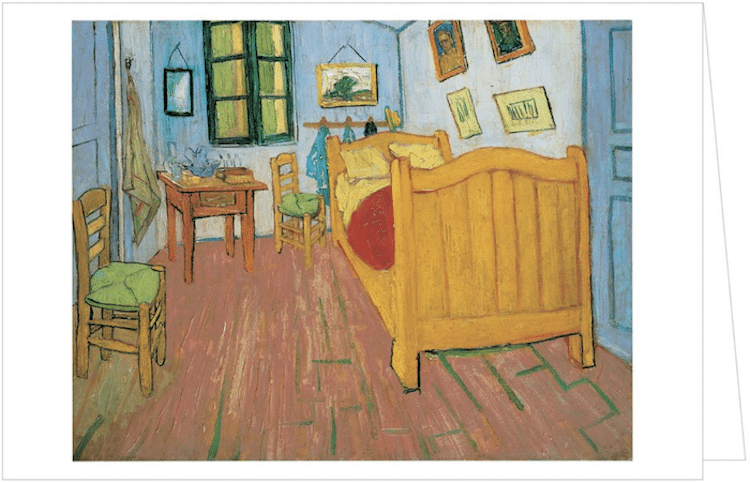 In addition to art, however, Van Gogh adopted another hobby during his lifetime: letter-writing. “If it’s not a letter I’m writing but a drawing I’m doing,” the artist noted in one of 651 letters addressed to his brother. 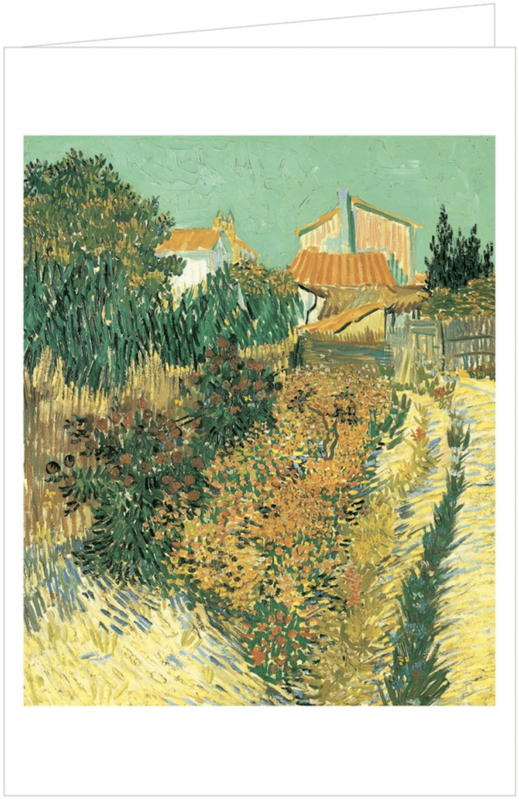 Pairing these two passions, publishing company teNeues has crafted a collection of Van Gogh notecards that perfectly captures the spirit of the artist. 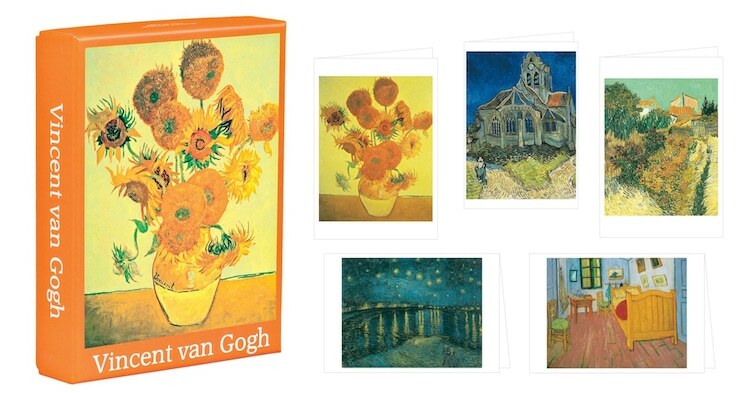 Each set of Van Gogh stationery comes with 20 full-color, foldable cards that feature five beloved paintings by the artist. 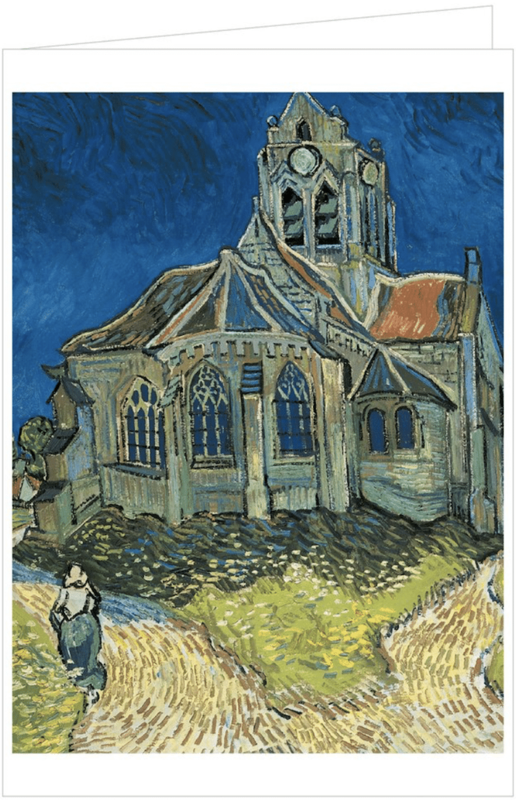 These works include Still Life: Vase with Fourteen Sunflowers (1888), Bedroom in Arles (1888), Garden Behind a House (1888), Starry Night Over the Rhône (1888), and The Church at Auvers (1890). Like all art history stationery sets by teNeues, the product’s packaging is as pretty as the cards themselves. 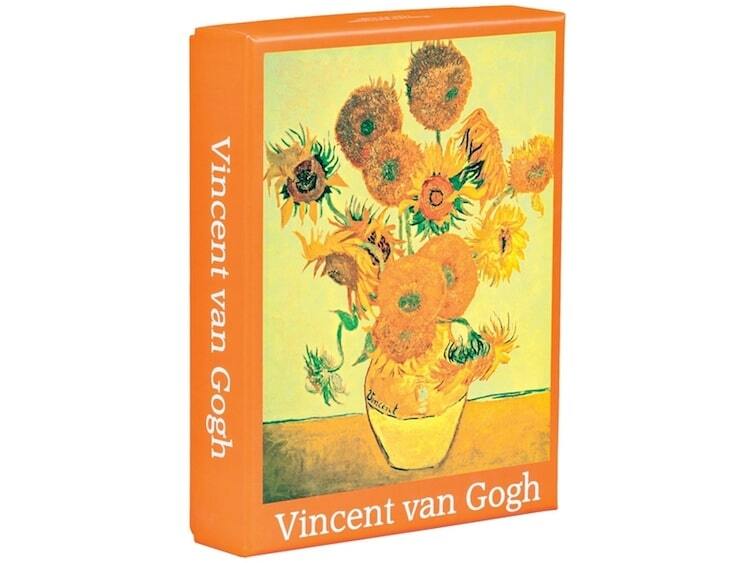 Foregoing a flimsy container made of cardboard for a sturdy, reusable box, this stationery set ensures you’ll always have a place to store your most precious possessions—whether they’re letters from loved ones, miniature masterpieces, or—in the case of Van Gogh—both. You can find this stationery set—as well as editions featuring the work of Gustav Klimt, Frida Kahlo, and Claude Monet—in the My Modern Met Store. and The Church at Auvers. You can find this stunning box set in the My Modern Met Store. 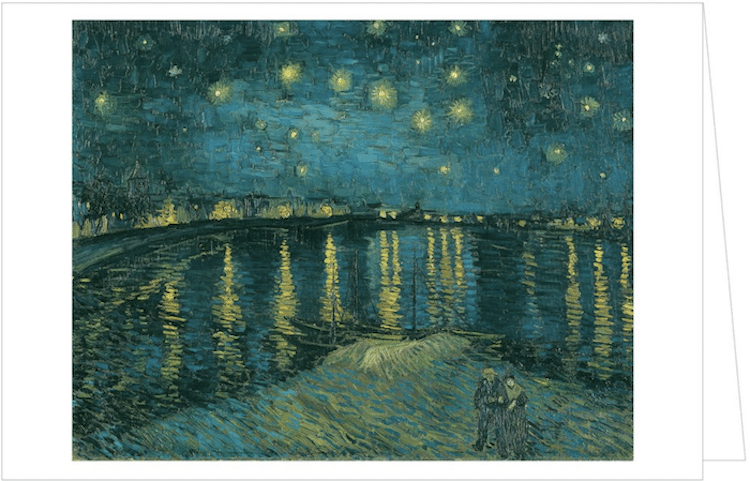 The post Beautiful Van Gogh Notecards Let You Channel the Artist’s Love of Letter-Writing appeared first on My Modern Met.